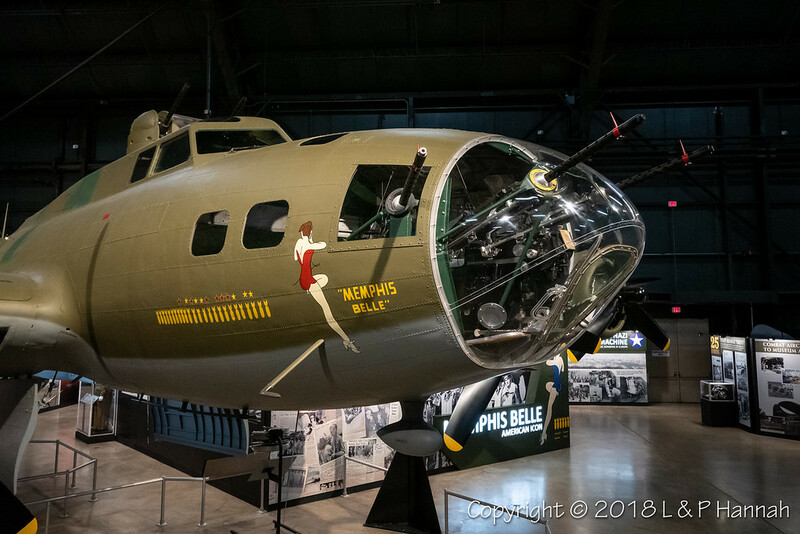 As part of the same holiday jaunt that brought me to NASM Udvar-Hazy, Mrs VB and I stopped in at the USAF Museum in Dayton to see and photograph the new ‘Memphis Belle’ exhibit. 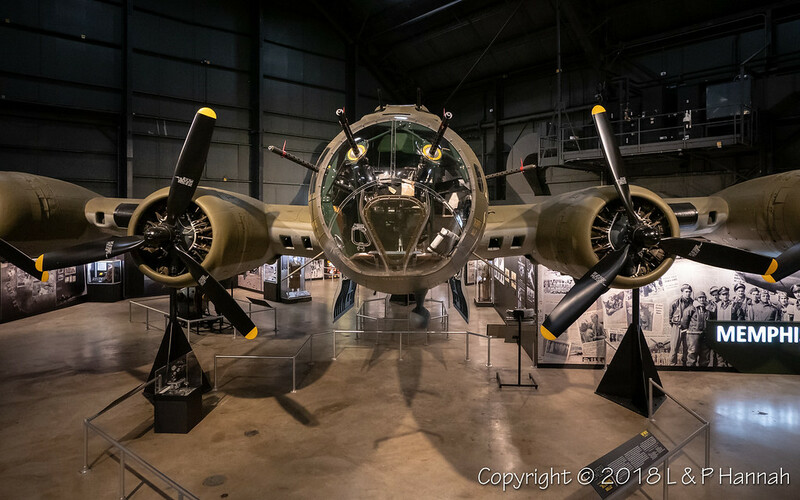 I also did a video walkthrough of the WWII Gallery with a chunk dedicated to the MB exhibit as well. Fun to see the amazing exhibit and visit old favorites in the museum! On a personal note - I was on tour performing in Memphis, TN in 1992 and one of the dancers in the show was a HUGE warbird fan. 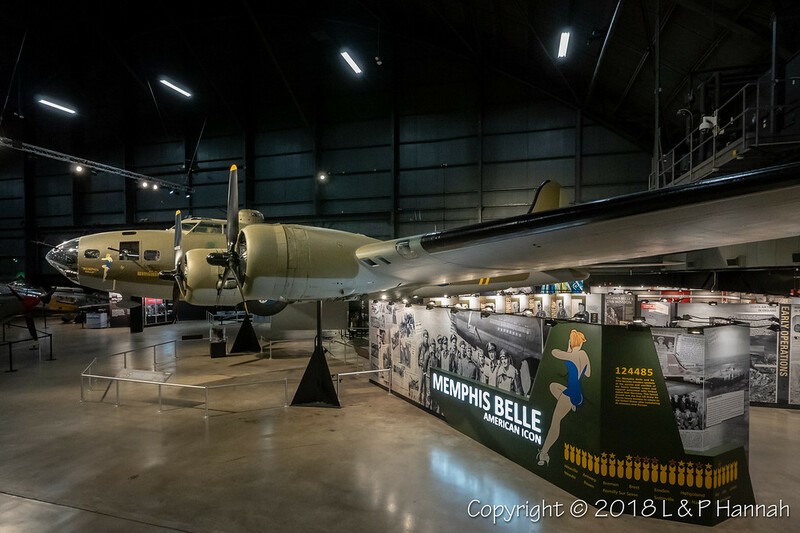 She arranged for a small group of us to make our way to Mud Island to see the Belle and meet the head of the Memphis Belle Preservation Society. I was floored when he unlocked the padlock on the rear door and invited us to climb aboard the plane. I regret that I had no camera at the time, but it was an awesome experience. 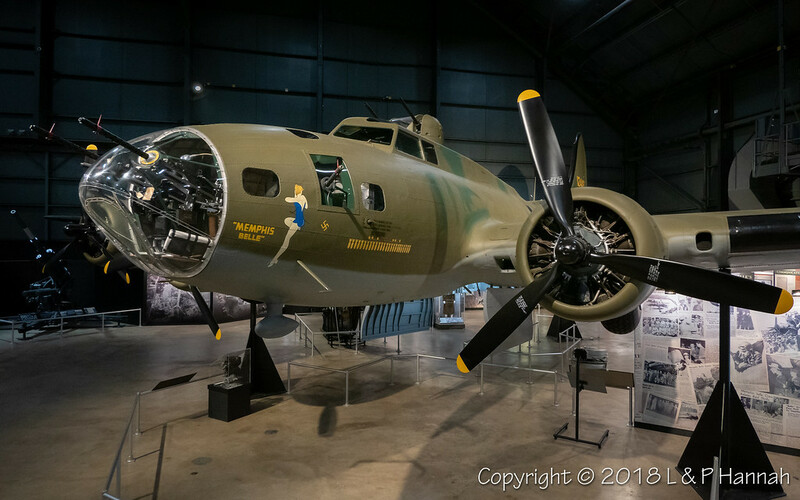 This same dancer, Alice, was acquanted with Charlyn “Chuckie” Hospers and, when playing Ft Worth, treated us to a tour of Mrs Hospers' namesake B-17G, ‘Chuckie’ - how cool that was too! 1) Is this the way the tail would appear as it flew on a mission? I guess I'm surprised that there isn't some kind of canvas covering or fairing to cover the exposed portion of the tail cone. 2) What is the circular thing with the four lights in the diamond pattern in the middle of it? There appears to be a red, blue and 2 white lights contained in the circle. As to #2...That`s part of the IFF system, to squak the "code of the day" in dark or low light conditions. I believe later models just had 2 large solid color lights. 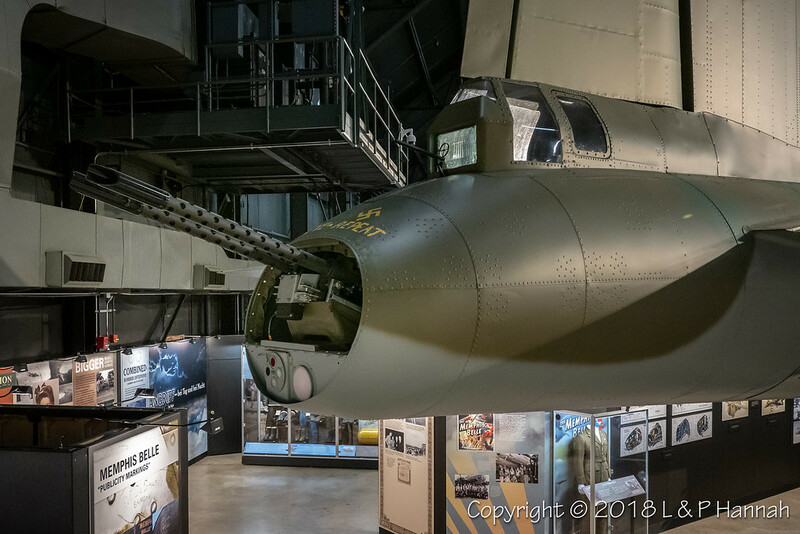 No cover on the Memphis Belle’s tail guns, period photos confirm it. Fairly common practice in F models. Probably for the gun camera mounted back there. Thanks, I learned something new. 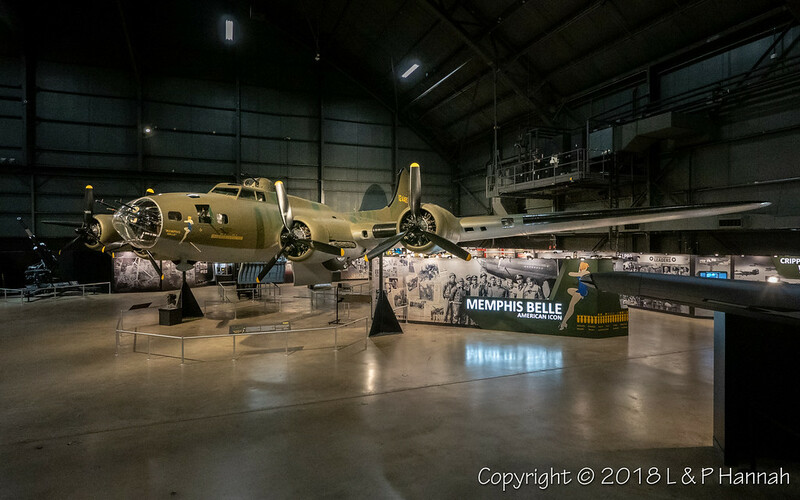 Oddball question for this thread: I thought I recall reading somewhere a long time ago that somewhere between Mud Island, NAS Memphis, and the USAFM, that one of the Belles` bomb doors went missing. Am I remembering correctly or have I been in the sun too long? If so, which door went MIA? Port or Starboard? What does the full inscription on the tail say? 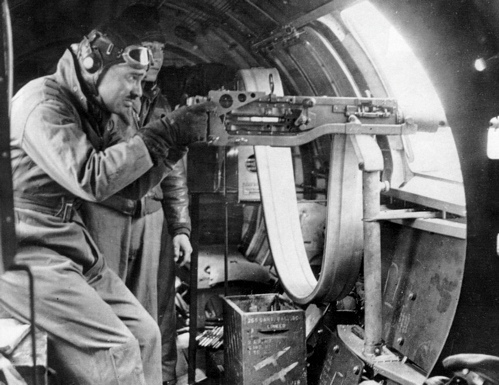 The writing over the tail guns reads "PETE_REPEAT"
The gun camera looked out through a window between the gun barrels via a mirror when the canvas cover was fitted. So strange seeing it sitting on jacks.... Why not gear down on pylons like Enola Gay? Now recreating THAT would have been a true restoration, IMHO. That's the first thing I noticed also! 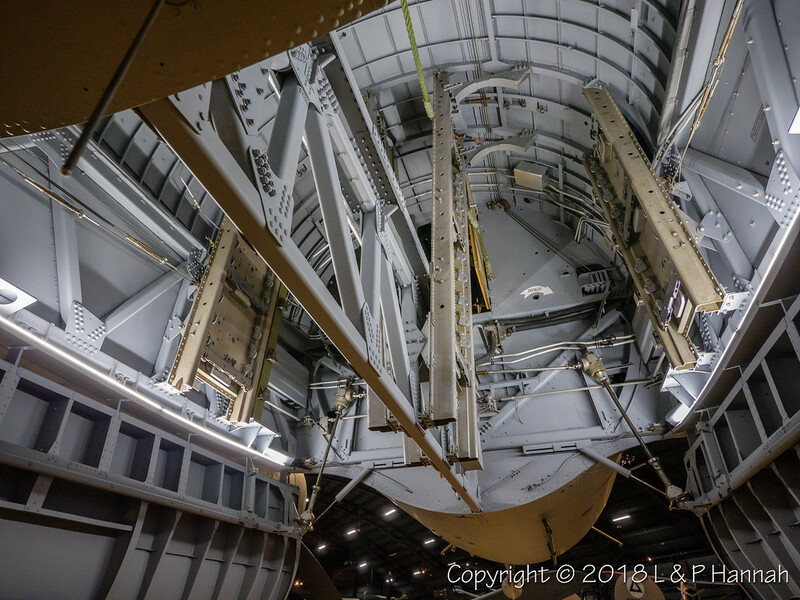 1) With the aircraft on jacks, the interior is completely inaccessible without a special ladder or forklift, etc. I know that NMUSAF policy is to usually let Veterans who have an association with specific aircraft to go inside their aircraft. Of course, this is not publically known, but with special NMUSAF Director permission, virtually all Veterans are allowed access to the cockpits/interiors of the aircraft they flew or worked on. By having the aircraft on jacks, this essentially cuts off that access. It could be that the NMUSAF doesn't want to tarnish or wear out the interior with Veterans constantly climbing or traversing the interior. 2) The interior is not finished and/or not fully restored. By having the aicraft on jacks, this denies access to photographers and/or critics from complaining about the interior restoration or lack thereof. I've never seen any pictures of the fully restored cockpit of the M.B. Can anyone post one? This can either confirm or deny that this was the case pretty easily. 3) They wanted to position the aircraft in a dramatic "pose" that is somewhat unusual and different - an unusual setting for an unusual aircraft. People might not like it, but I sure do. 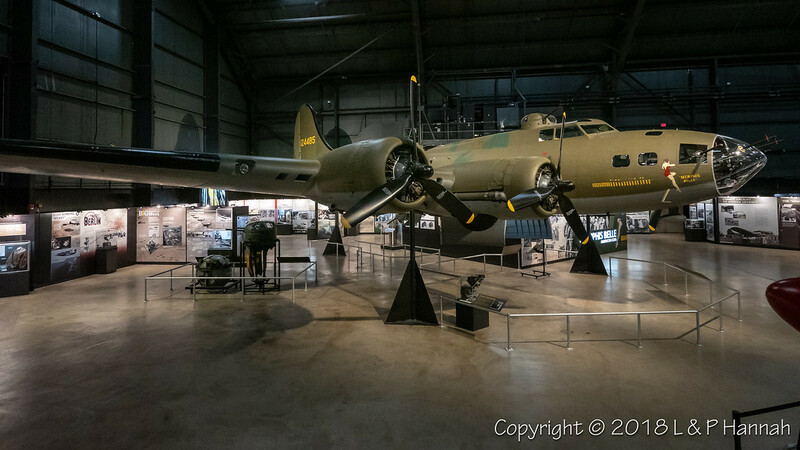 No other B-17 I know of is posed like this, where you can see the "bomb run" configuration from close up on the ground. It's just a shame that so few of the vets who ever flew on her with the 91st are around today to see her like this. The decision to put her on stilts came from the directors, so I cannot speak for their reasoning. I can tell you that the restoration of her interior will take a few more years. The Belle is still largely hollow. Lucky Thirteen is working with the Restoration Division at Wright-Pat as we have a lot of the same needs. The biggie is the interior insulation and fabric. We have a team from Clemson University working to put together a quote. So far, they're the only ones we've found who can accurately reproduce it. That said, kapok is very flammable, so we'll need to find a non-toxic flame retardant to treat it with that wont break the bank. In the meantime, the NMUSAF Restoration Division has been focusing on the waist and radio equipment. They're biggest problem has been in locating the correct .50 cal feed chutes. Since the old solid-feed chutes are likely extinct, they've got late-43 chutes in as placeholders. Another need right now is Olive Drab no. 3 waxed canvas. Wright-Pat is reproducing for L13 and Belle a particular type of first aid kit, using a piece we have on loan to them. Problem is, we've had trouble locating a modern producer of this fabric. It's a little slick and very stiff, and the color is a bit more tan than your average OD. If anybody can help with this stuff, let me know as these are some of the Belle's needs at the moment. As for Lucky Thirteen: none of you guys have a Sierra Chemical toilet do you? Or some ARC-5 radio mounts? There are a few WW2 re-enactor vendors who can probably do a great job.